It isn’t often that readers are privy to hearing a character’s voice from death row, his words echoing from the catacomb that is his cell, chillingly recounting his life and crimes in a manner so controlled that it is easy to separate the man from the acts. On the surface, the central character of That’s How I Roll, Esau Till, is an expert assassin filled with rage that results in the worst of consequences. Yet if one looks deeper, he is also a doggedly determined man. It is his singleminded determination to reach his last goal before his execution takes place that makes That’s How I Roll worthy of attention. Esau, his younger brother, Tory, and his sister Rory-Anne were all victims of unspeakable horrors at the hands of their father, otherwise referred to as “the Beast.” “The Beast” had no boundaries when it came to abusing his children; he ultimately sexually forced himself on his daughter. As a result, Rory-Anne gave birth to Esau, while all three of the kids endured the ongoing agony bestowed upon them. Perhaps as a result of this genetic mix, Esau was born with spina bifida and spent his life in a wheelchair. Rory-Anne reserved her anger and hate for Esau, calling him “an ugly twisted thing.” After abandoning him she realized the government would provide a hefty check for her on his behalf. But the abuse worsened, and all the boys wanted was to be kept safe. Esau was, however, clever and smart as they come. There was nothing he couldn’t accomplish or figure out once his mind was made up. Tory was mentally challenged, but quite robust physically. Each of them possessed qualities the other lacked, and in tandem they erected the perfect barrier from further harm from the outside world. They were as emotionally intertwined as any two people could be and fiercely protected one another. As their lives progressed, Esau sold drugs to earn money and was later hired by several mobs. As Esau calmly stated, “Maybe I didn’t have legs that worked but my arms and hands are potent weapons.” Not only was Esau an expert contract killer, but his keen intellect allowed also him to deal effectively with different factions without losing either side’s respect. By and by, Esau learned a valuable truth: that if he couldn’t control his mind, he wouldn’t be able to control anything else. And in each of his ventures he learned just a little more about gaining control in every situation he confronted. But in the end, the goal he lived for and paid for with his life was accomplished. The way he viewed it, everything he endured was worthwhile as long as his brother Tory was safe and provided for. Esau does not plead for a stay of execution, nor does he apologize to anyone. Death seems to be accepted—almost even a relief. That’s How I Roll is about the dichotomies and incongruities within the human mind and within the context in which the story takes place. Honor, revenge, and mercy are often interwoven in the main character. Some supporting characters who appear colder than ice are also capable of displaying caring and compassion. The town that is chosen for the setting of the book is inhabited by people who, for the most part, are mercilessly distrustful not only of outsiders but also of each other. It is a barren environment that reeks of sadness and hopelessness. Though the pace of That’s How I Roll is a bit slow at the start, the story does build in an interesting, albeit predictable manner. This novel could easily be mistaken for a memoir. In particular, the spoken account from Esau on death row is both chilling and realistic. 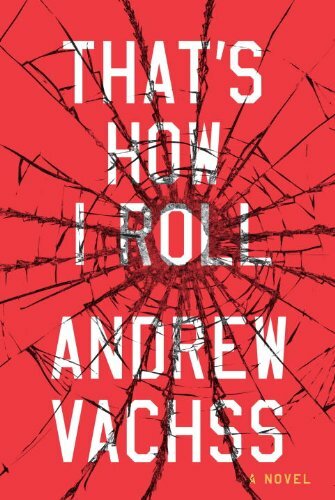 Readers who enjoy an unusual mystery will be simultaneously entertained and horrified by That’s How I Roll.